Norton Town Hall is located at 70 East Main Street, Norton, MA 02766; phone: 508-285-0210. 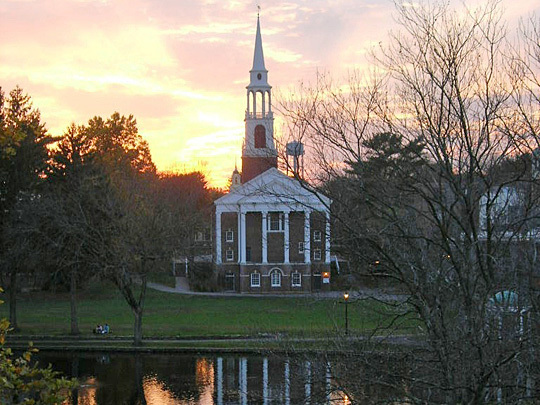 Photo: Wheaton College Chapel, ca. 2006, en.wikipedia.org, accessed September 2010, public domain. In 1709 the area became a precinct known as the North Precinct of Taunton. It was incorporated in 1711 as the Town of Norton. Norton is home to Wheaton College. This private, 4-year liberal arts college was founded in 1834 as a seminary for women. In 1988 men were admitted for the first time in its 150 year history.